One of the strongest differentiators in the future will be the ability to deliver real-time, highly personalized experiences. 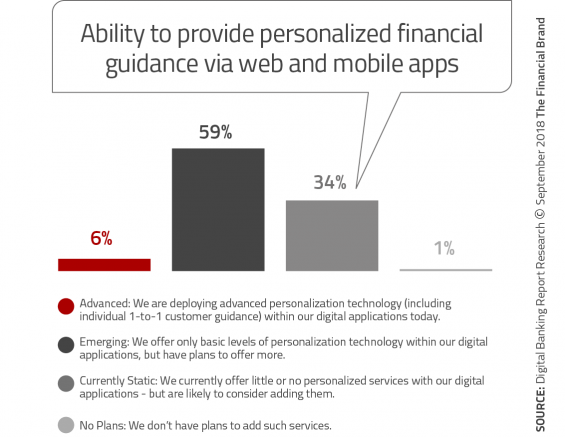 The inability to deliver on the 'personalization promise' is a major concern for banking executives according to new research from the Digital Banking Report. It is no longer just the domain of large banks to be able to leverage considerable technological sophistication and vast data resources to give consumers specific financial solutions. The cost and access to insight and communication tools have improved so they can be used by financial services firms of all sizes to deliver the level of customization expected from today’s consumer. More and more financial organizations are seeing the benefits of a personalization strategy, thanks to new digital applications and advances in predictive analytics. Now, more than ever before, a financial institution can take what it already “knows” indirectly about an individual (from transaction data and other sources) and transform this data into insights that are predictive, personally relevant and useful. What would the consumer relationship with a financial institution be like after a few of these positive – and personally relevant – digital interactions? What would that relationship look like after a year of such guidance? Banks and credit unions currently have both the data and digital platforms to make these kinds of positive behavioral interventions possible, and the decision support technology is readily available to make them practical. The degree financial organizations think their customers/members value their relationship with their primary financial institution. The importance of knowing each customer’s personal financial situation. Perception of alternative financial services firms (fintech and big tech) as a threat. Research from Epsilon indicates that consumers want and expect personalization, and that they are most comfortable with providing personal data when they are able to manage and control the resulting experiences. Financial incentives like tailored discounts and offers are the greatest motivators to provide data. 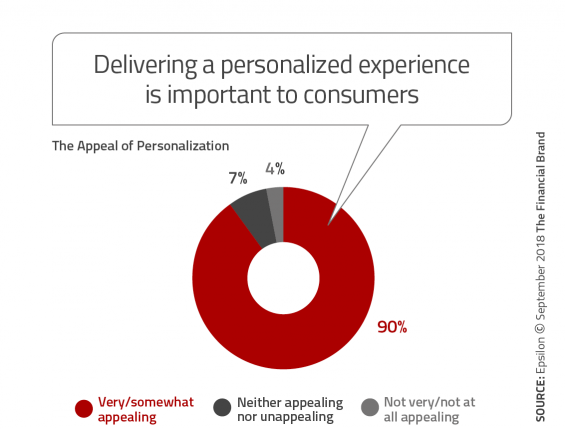 90% of consumers feel that personalization is “very/somewhat” appealing. 66% of consumers feel that companies are doing “much/ somewhat better” in their efforts to personalize their experiences. Despite consumers’ growing comfort with (and demand for) personalized interactions, a significant percentage of consumers are still protective of their personal information. Therefore, financial institutions have to tread carefully. Twenty-five percent of consumers see getting personalized offers as “creepy,” and 32% say that getting personalized experiences is not worth giving up their privacy. More than one-third (36%) feel that companies don’t do enough to protect their private information. There was general consistency across all institution types and asset ranges when financial institutions were asked about the importance of knowing their customers’ and members’ personal financial situations. Only 16% of organizations surveyed didn’t think it was either “very” or “extremely” important to know their customers/members. The importance of knowing the current financial situation of consumers is aligned with what consumers believe should be known about them. Unfortunately, consumers made it very clear that they don’t believe their primary financial institution really knows the important components of their financial life. 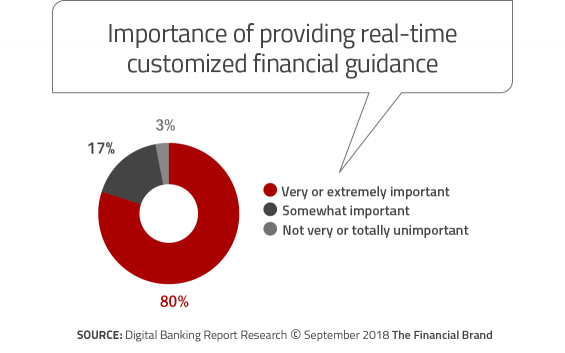 As with the question regarding the importance of knowing consumer’s financial lives, there was consistency across the board when institutions were asked about the importance of providing real-time, customized guidance. It is interesting that the 80% agreement on the importance of “providing real time guidance” was not higher than “knowing the customer” (84%). Bank and credit union executives understand that providing real-time insight is a major advantage of digital-only banks and fintech providers. In line with other questions asked around the importance of personalization, 76% of organizations believed that personalization had a “major” or “strong’ impact on relationship building. To determine the “personalization maturity” of financial institutions, we had the responding organizations rate themselves as “Advanced”, “Emerging”, “Static” or having “No Plans” to provide contextual, personalized insights and solutions to consumers. As would be expected, the largest financial institutions had the highest self-assessment around the ability to provide real-time contextual guidance. That said, less than 20% of the large national and regional banks considered themselves “Advanced” in this capability. As was the case in 2016, we found that the ability to provide personalized guidance by financial institutions of all sizes is limited. When we asked about the ability to provide basic contextual alerts and notifications, only 26% of organizations considered themselves advanced in this capability. 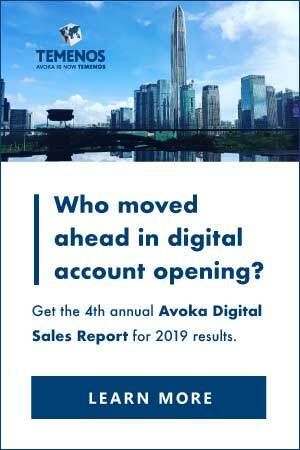 More concerning, less than 20% of organizations were able to provide personalized offers, with less than 10% able to provide real-time spending analysis or advice based on activity. With very little variation across organizational type and asset size, 94% of legacy financial organizations are either “very concerned” or “extremely concerned” about fintech start-ups. This increased from just above 50% in 2016. This represents the largest variance of any response that we collected compared to two years ago. In many ways, based on the current ability to deliver personalized services and the lack of apparent urgency by organizations of all sizes, these concerns are probably justified. In fact, there is evidence that the industry may be even more concerned since only 1% of organizations were “not at all concerned”. This comes at a time when consumers have an increasing awareness of what digital organizations can provide in personalization benefits. Across all industries, consumers expect their financial institution to understand their needs and deliver personalized solutions similar to what they receive from Google, Amazon, Facebook and Apple. Unfortunately, despite advanced AI technology, most personalization expectations remain unfulfilled. 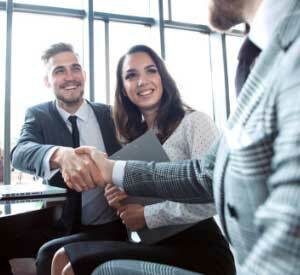 Consumers want their financial institution partner to securely manage their finances, understand their goals and preferences, and proactively deliver the right offers and services to help them achieve financial well-being. This personalized engagement will differentiate itself not only from other banks but from fintech start-ups as well. 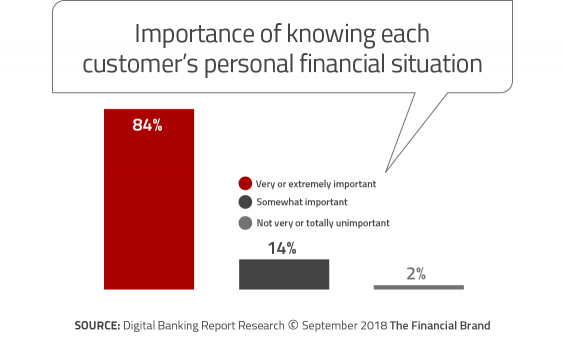 To get to the level of understanding desired, consumers are willing to share insight with their primary financial institution according to the CGI research. 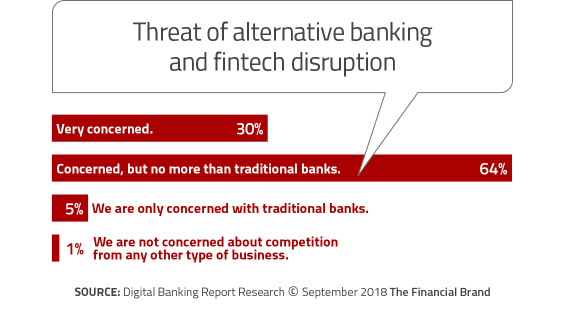 This is in stark contrast to the amount of insight most financial institutions are willing to ask, collect, and utilize for the benefit of the consumer. Financial services leaders of the future will be able to access a single source of insight and intelligence that will enable seamless back-office processes and digital customer experiences that are in real-time and add value both for the organization as well as the consumer. These qualities will be the foundation upon which everything else in the organization is built. It will also be the point of consumer differentiation for traditional financial institutions, fintech firms, big tech organizations and non-financial players. 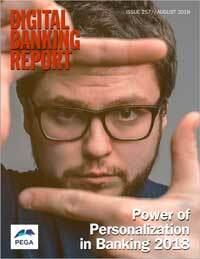 The Power of Personalization in Banking 2018 report, sponsored by Pegasystems, provides insight into the progress financial institutions are making around personalization and contextual engagement. The report includes the results of a survey of more than 200 financial services organizations worldwide. The report includes 82 pages of analysis and 36 charts. This article was originally published on September 4, 2018 . All content © 2019 by The Financial Brand and may not be reproduced by any means without permission.